A few weeks ago I was at a, first of its kind, gathering in Austin, TX. The leaders of more than ten national religious denominations came together to explore why their congregations were losing membership so rapidly over the last decade. The gathering included leadership from the Methodists, Episcopalians, United Church of Christ, Lutherans, Unitarian Universalists as well as top leadership from the Union for Reform Judaism, United Synagogue for Conservative Judaism and the Reconstructionist Movement. There were also a handful of consultant/thought leadership types who have created programs designed to better equip clergy to get ahead of the curve on the rapid changes in American society that are at the root of the declining market share of conventional religious institutions. Note: This article appeared in eJewishPhilanthropy on February 8, 2017. One of the most important presentations at the gathering came from Dr. Gil Rendle, longtime lead consultant for the Alban Institute and the author of numerous books including Leading Change in the Congregation: Spiritual and Organizational Tools for Leaders. He outlined the 20th century social and cultural trends that gave rise to every national denominational structure represented in the room: a need for centralized national structures; standardized practices and policies; well-delineated decision making processes; and a chain of command with clear lines of authority and accountability from the national president (or Bishop or whatever) to the humble clergy-person serving a small congregation. Rendle then charted out the characteristics of organizations that were founded in the 21st century and that are currently thriving. They tend to be decentralized; decision making is more likely to be “bottom up” than “top down”; they are fast and agile and bureaucracy averse; they keep overhead low and are wary of the “edifice complex”; and they are culturally sensitive to changes in society. It did not take long for the denominational leaders in the room to recognize on which side of the chart their organizations fell. In fact, even those denominations that were forward thinking enough to encourage their congregations to move from the 20th century model of organizing to that which characterizes 21st century organizations, understood that they had not heeded their own advice in terms of the institutions that they currently lead. Before we are too quick to point fingers and ascribe blame, it needs to be recognized that there are few things more challenging than effecting real organizational transformation. Whether the organization is a Fortune 500 company, a non-profit or a religious congregation, the default posture of every organization is stasis. Managers are trained to guard against factors that can destabilize the system that they oversee. Most systems build in significant financial and social rewards to those in authority to keep the operation on an even keel. Nothing threatens this state of affairs more than change. At this point, readers should be nodding their heads. Everyone is part of systems—places of employment, non-profit organizations and even families themselves—that resist change. Synagogues (and, of course, churches as well) have the added factor of representing an historic tradition. Those most committed and loyal to congregations are usually attracted to the way in which their faith community represents a link to a cherished past. Members spend their time and money to support religious congregations so as to pass on practices and traditions to the next generation. So here is the crux of the dilemma that rabbis are facing. They are trained to be teachers and stewards of the Jewish tradition. They are hired by congregations to oversee an institution that has an investment in perpetuating that tradition. A rabbi can work 40, 50 or 60 hours a week fulfilling all the tasks that allows that to take place. That work is holy work. Congregants appreciate it and rabbis are fulfilled by doing it. But if the very organizational model of the American synagogue is out of step with the changing realities of American society and the social and cultural habits of American Jews, synagogues in their current model will fail to attract a sufficient number of next generation Jews to survive. This is not a hypothetical assertion. The declining membership rolls of American synagogues over the past 20 years is ample evidence of this state of affairs. 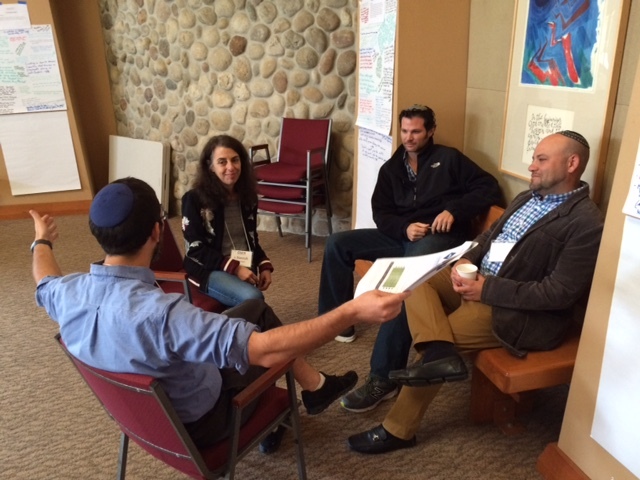 It was to address this dilemma faced by rabbis that we created CLI, the Clergy Leadership Incubator. In short, CLI’s premise is that rabbis have the positional authority to be the key change agents in their congregations. But having offered consulting services to congregations for twenty years, it became clear to me that very few rabbis get the training necessary to be effective at leading institutional change. CLI’s two-year fellowship combines the best insights and practices from the field of synagogue transformation with training in the discipline of adaptive leadership. Adaptive leadership is a discipline developed at the Kennedy School of Government at Harvard University by Ron Heifetz and Marty Linsky. It is now used by corporations, non-profits and even governments around the world to effect transformational change in institutions. We have worked closely with Marty Linsky to customize the principles of adaptive leadership for rabbis and we have made it available at a fraction of the cost it would take to enroll in an executive leadership program on adaptive leadership at Harvard.